Dr. Larson is the best! We moved 1.5 hours away, but because we like Dr. Larson and his team so much, we continue to make the drive to Bellevue. Dr. Larson is good. Skilled, caring, friendly. straight forward. Dr. Larson is a good listener and his explanations are clear and concise. His examinations are always thorough and we discuss options and my concerns or needs before deciding on a course of treatment. Dr Larson is an outstanding physician. Caring, friendly, competent. Dr Larsen is outstanding - always thorough and clearly communicates. I always recommend *Dr. Larson. extra time spent due to recent health incident. very clear in helping me understand symptoms and path to clear diagnosis without panic. I actually like them, as humans and practicioners. Thoughtful and personal care by Dr. Larson is much appreciated. Dr. Larson is the best and he´s very quick to respond to emails and getting prescriptions. Dr. Larson has been my primary for many years. I have recommended him to friends who then became his patients and are very satisfied and happy as well. Dr Larson was great. He really took the time to talk and followed up quickly on my lab results. Was not rushed at all, had a good conversation about my health. I have been seeing Dr. Larson for around 13 years. He has always provided a comfortable atmosphere, been very personable, has listened to any concerns I have, and has been candid with me about feedback/recommendations I have a bit of a white coat syndrome, but he does a good job to put me at ease as best I can. I would recommend him to anybody looking for a good doctor. I have seen many providers, but my current provider is the best. He is a nonsense doctor, is very thorough and his follow-up is extremely prompt. Very pleased with our choice of physician. Dr. Larson is wonderful. Takes the time to explain everything, asks questions and fully answers any concerns of mine. Followed up on another question that he had to check on. Got back to me in an extremely timely manner. Pleasure dealing with this man and his staff! Dr. Lance Larson is a real professional. I very much enjoy my brief, annual interactions with him. Dr. Larson is the best doctor I´ve ever had. He definitely cares about his patients and their well-being. lance Larson is great. down to earth and funny and knows his areas of expertise and when to recommend a specialist. 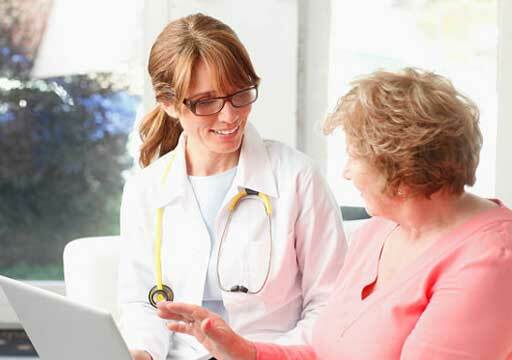 *Dr. Larson is always genuinely interested in my general health & provides sound advice & care. Lance is great to work with. I have not gone with other medical insurance because they were not with Virginia Mason. I have had Dr Larson for 20 years! He is a very good doctor and explains in detail all my questions. Dr. Larsen was great, I´m pumped to have a primary care doc and he was awesome! Always thoughtful, always caring, always honest. My first visit with Dr. Larson was an absolute pleasure. Larson is the best. I would rather wait for him because I know he spends time on me then complain about waiting. he cares so much he helps you get to the proper conclusion about the care you need instead of telling you what it is or not listening to your issues all the way. Dr. Larson is superb and thorough. The best. Dr. Larson has my highest confidence and appreciation. Dr. Larson the best internist I´ve had by a significant measure. 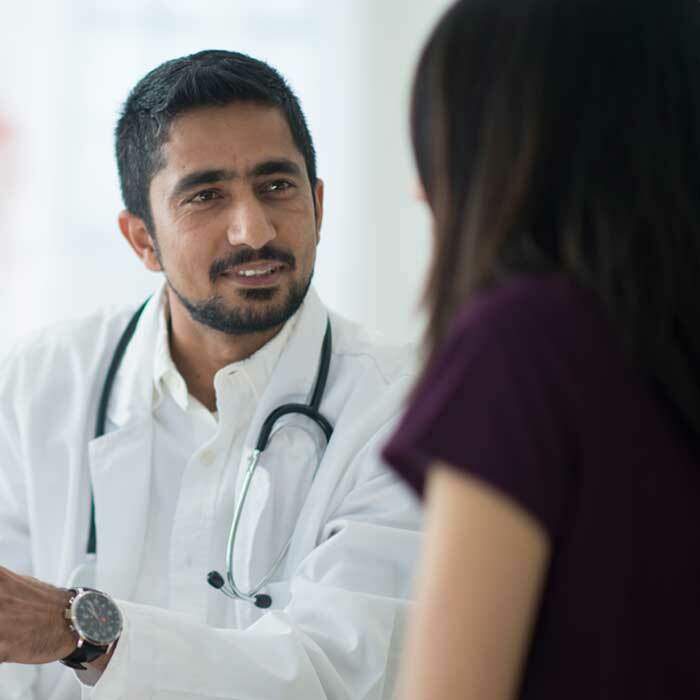 Strengths of note are medical knowledge, building relationships, memory of past discussions, caring attitude, patient focus and medication management. My wife and I have a high level of trust in his treatment plans. Dr. Larson is a great practitioner, listens and offers sound advice/solutions. My husband and son are also patients and we all agree. Dr. Larson is by far the best Doctor I have ever seen. I am a Dentist and have been practicing long enough to know when a Doctor knows their craft. 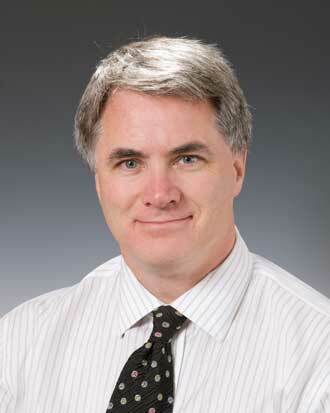 Dr Larson is kind yet firm, and has the wisdom to help his patient´s in a friendly, caring way. Every opportunity I have I refer patients to see him. One of my doctors said that Dr. Larson is the "doctor for doctors." I can see why. Dr. Larson is the best! He is always a joy to see and is extremely knowledgeable. He is very prompt at getting back to me about any concerns I may have or gets me my lab results right away. The most caring doctor you could have. Excellent explanation of provider´s findings and conclusion, and all questions answered to my satisfaction. 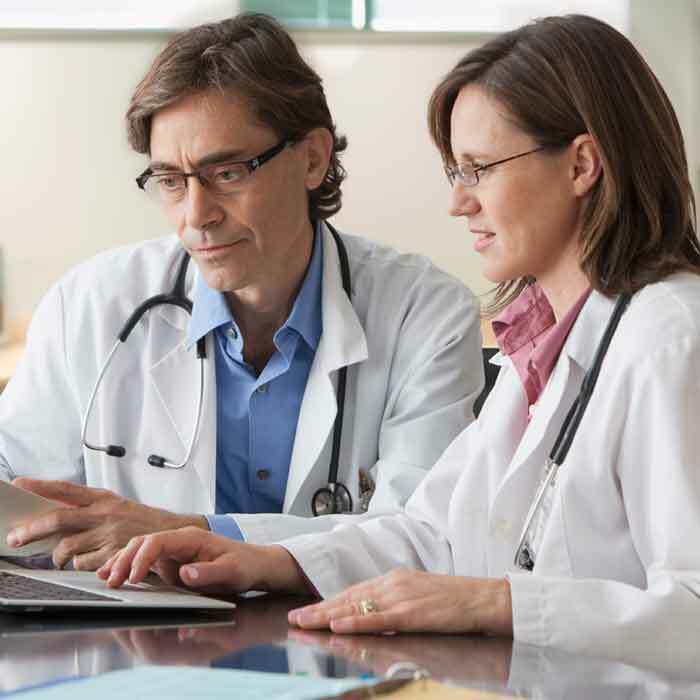 Dr. Larson takes he time to address any concerns and offer excellent guidance. he truly is the best!!! Great doc, very personable and easy to talk to. Lance Larsen has kept up with the latest developments in pharmaceutical research which makes him highly effective in giving the best advice to patients. Dr Larson is a real asset to VM and his patients. Dr. Larson has been my doctor for over 20 years and I like his "mater of fact" demeanor. Dr Larson is an outstanding physician who has taken excellent care of me and my family. Dr. Larson is the best. I recommend him to everyone. The doctor was late and I felt rushed. He even said this was a "quicker" appointment and ignored some of my concerns. Very disappointed. Dr. Larson provides excellent care, taking time to review my past history, updates, concerns. He takes the time necessary & is encouraging and puts me at ease. I refer him often. Dr. Larson is a gem! I usually only see Dr. Larsen once per year for a physical. He always makes the time to chat with me about my concerns. I appreciate his informative and pragmatic approach to my questions and concerns. It´s great to maintain a relationship with him once a year so he knows me and my history if I should ever have a more serious need to address. Thanks. Dr. Larson is WONDERFUL and has been for the decades he has been my regular physician (after John Kirkpatrick shifted to the Dare outfit). In person, he is always affable, interested, sensible, and entertaining. I have total confidence in his expertise. Outside of appointments, he is incredibly responsive to email requests for information or whatever, and he follows up. That includes his being online at 9 at night. He seems to love his work. I´ve been seeing Dr. Larson for years. I am very comfortable with him and very confident in him and the care he provides. I´ve already recommended Dr. Larson to a friend. It was just an annual physical, but Dr. Larson still explains things well and seems thorough. Dr. Larson asks great questions to get to the heart of the problem. Good listener. Dr. Lance Larsen is a great doctor! I wish there was something higher than a 5. Larsen is the greatest! I have a least a dozen friends who have switched doctors, he is so good! explains things well, listens and doesn´t interrupt, asks good questions, doesn´t dismiss any information or try to rush thru our time. and he always has the answer. Lance is great. to the point and caring. the best! I had some follow up test in Seattle on Friday afternoon. I thought I would have to wait the weekend on results, but Dr. Larson reviewed by test right away and let me know my results Friday late afternoon. Dr. Larson was very friendly, kind and considerate in dealing with my injuries. I´ve been seeing Ol´ Doc Larson for over a decade. He is hands-down the best physician I´ve ever seen. From his manners to the quality of the treatment, I have the utmost confidence in the care he provides. Dr Larsen is an outstanding physician, personable, highly knowledgeable, and caring. He´s a terrific internist. I have the utmost trust and respect for Dr. Larson. I am very confident with Dr Larson´s care. I am very grateful for the wonderful care I receive from Dr. Larson. Dr. Larsen is always clear and concise in all points. Doctor Lance was friendly and professional. I´ve said it before and I´ll say it again, Dr. Lance Larson is the best! I have a good connection with Dr. Larson. He is always friendly, caring and I think very highly of him. Lance is great. Thorough, friendly, easy to talk to. Dr. Larson routinely provides caring, clear explanation of my medical situation and the plan to deal with it. Dr. Lance was great! he made me feel comfortable, and worked to go above and beyond to communicate with me. Dr. Larson is a rock star. I trust and have referred Dr. Lance Larson for over 15 years. I appreciate his consistancy in care. Dr. Larson is simply the very best physician I ever had in my life. dr. Larson is one of the best! I very much trust Dr. Larson and can only say good things about him and how he deals with me as a patient. Dr. Larson has been my primary care physician for 12 years - he is a good doctor and we have developed a good understanding. This was my first visit with Dr. Larson. Appreciated his professionalism, time spent with me, and attention to my concerns/questions. 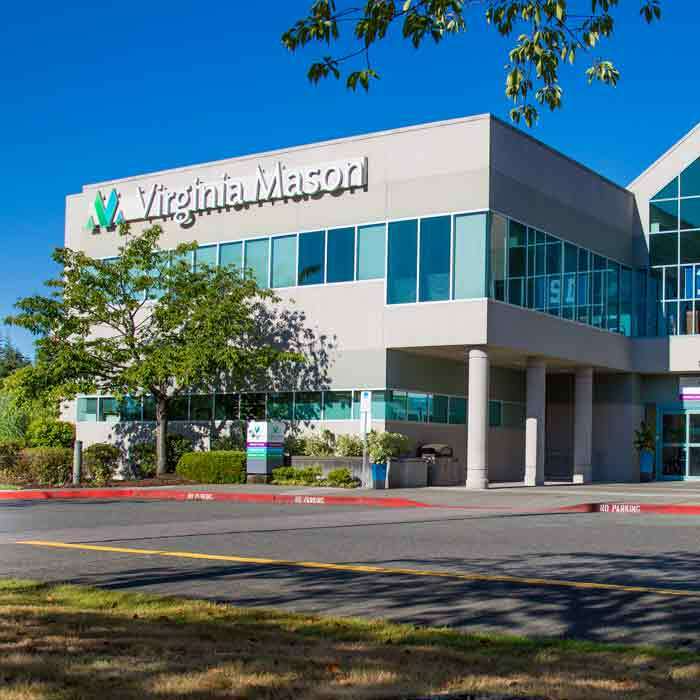 I switched over from Virginia Mason Issaquah to Bellevue office, and my husband is now in the process of changing from Eastside Family Medicine to VM Bellevue and Dr. Larson. Dr. Larson is very attentive and provides information clearly. dr Larson is very good in talking with you and any issues our questions you have. My care provider is excellent and I have recommended to family and friends. Dr Larson has a great bedside manner. He takes time to discuss issues and has a good sense of humor! When my primary isn´t available in the future, I plan to try and see this physician. Dr. Larson once saved my life. He is very thorough and good. Dr. Lance Larson continues to provide excellent, compassionate care. have been seeing Dr. Larson for about 12 years now. always a good experience working with him. he listens well, is forthright with his opinions, and efficient. We started going to Dr. Larson many years ago when we lived in Bellevue. 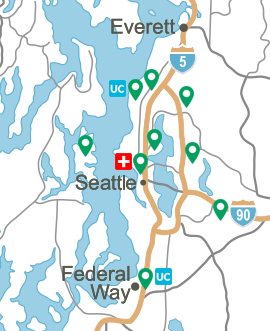 We moved to Lake Stevens a year ago and have continued to go to Dr. Larson (it´s worth the 45 minute drive each way) because he is so kind and easy to work with. He is the best of the best! I would give Dr Larson higher than a 5 if I could. I will be a Virginia Mason patient at least until the day he retires. I have been going to Dr. Lance Larson as my primary care provider for 15+ years, simply put he is the best!! Dr. Larson always impresses me with the time he takes both personally and about addressing my concerns. He is NOT callus in any way. He is reassuring, caring, and direct. I have already recommended Dr. Larson to several people. Great doc! I´ve been seeing Dr. Larson for about 20 years, and he´s shown a consistency in his professional care for his patients. He also gave me an option to include PSA test as a part of my lab tests by showing me pros and cons with the PSA. I would definitely recommend Dr. Larson to anyone. Dr. Larson´s friendliness and follow-up are beyond expectations. I appreciate the staff at Virginia Mason. I have complete confidence in Dr. Larson. Dr Larson is excellent with courtesy, diagnosis, and treatment. I highly recommend him. Dr. Larsen has been my doctor for 20 years. I find him warm, caring and a great listener. Dr. Larson is a gem, been my doctor for a number of years. Really understands my medical issues and shows a deep caring. I feel fortunate to have him as my doctor. Dr. Larson is a wonderful doctor. He´s been my primary caregiver for over 10 years; I´ve relied on his knowledge and empathy during multiple changes in health. He takes time to listen to my questions and concerns, provides options for treatments and follows up without fail. I´ve recommended him (and Virginia Mason) to many of my friends and colleagues. Dr. Larson is the best. he always makes me feel comfortable and explains everything he´s doing. Also, he answers my questions thoroughly and directly. by far he has provided me with the best doctors appointments ever! i have seen Dr. Larson for several years. He is a very thorough physician, caring and spends quality time with me. Dr. Larson has always given me excellent attention and professional service and consul for years..
Dr. Larson knows how to explain medical issues clearly and completely. Dr. Larson is easy to talk to, asks good questions, provides insight into treatment options. I have great confidence in his medical advice and in Dr. Larson as a person. Dr. Larson has been my primary care physician for years, and I hold him in high regard. I trust him to always provide me with the best possible care and to make recommendations that are in my best interest. He´s also a very nice man. He is a wonderful provider and makes me feel comfortable. I feel he understands my questions and really cares about me. Dr Larson is courteous and knowledgeable. I have every confidence in him as a physician and he is a genuinely nice person! Dr. Larson was friendly, patient, and thorough. As new patient, I appreciated the time he took to understand my current issues, go over my history, and explain his opinions on prescriptions, tests, etc. I was very happy with my prior doctor, but like Dr. Larson even better. He also followed up right away on tests and reviewing the information that I provided. Can´t imagine a better experience. I have complete confidence in Dr. Lance Larsen. He listens, is caring and orders tests immediately, if needed. I would not go anywhere else. I recommended Dr. Larson to my husband for his annual exam. Dr. Larson is great. he remembers me and knows what approach works well for me. he can´t retire until I am 6 feet under. That´ll be a while yet. Dr. Larson makes doctor visits fun, efficient, and fast. He goes into great detail about any questions or concerns and explains what he´s doing thoroughly. Best primary doctor I´ve ever had. There wasn´t really time for him to explain anything. He made a diagnosis, wrote a prescription and was gone. Dr Lance LArsen is amazing! Excellent beside manor and compassionate about my care issues. Always eager to explain any questions I have and willing to give solutions. Love Dr. Larson, the best doctor I have had. Dr Larson has been my primary for almost 20 years. Solid and professional! Zach my diabetes care manager is rock solid, just met with him yesterday and he made the visit very worth while and informative. Very pleased with everyone! Dr Lance Larson is excellent. He takes the time to make you comfortable and explain everything. best provider that I have ever had.